UMPC means ultra-mobile personal computer. In recent years, AAA-gaming on one has been made possible due to advancements from Intel's mobile focus. This is blockland running with medium shaders at 1280x720 resolution averaging about 30 fps to 40 fps. Obvious issues include there being no numpad, the keyboard is too small and it also turns into a cozy hand-warmer after a few minutes. I have also performed Blender Cycle renders on this device. 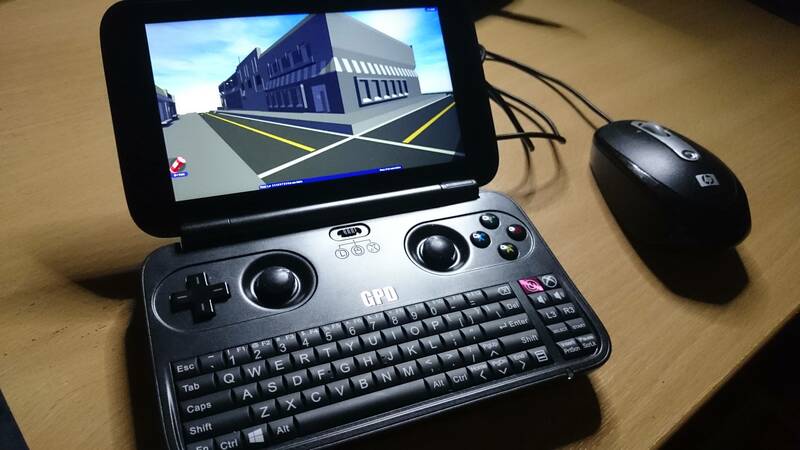 This UMPC is from GPD, a Chinese company, but there are many others. I bought this UMPC with RDP and Steam streaming in mind but I was quite surprised when it could run The Sims 4 and Blockland. I tried the original Crysis 1 but pesky DRM got in the way.